Former teen idol Jesse McCartney and "Sh*t My Dad Says" co-star Jonathan Sadowski will battle radioactive ghosts in FilmNation Entertainment’s Untitled Oren Peli Project. The film centers on a group of friends who are stranded in a desolate city that was abandoned years before, after a nuclear disaster unleashed poisonous radiation into the eco-system. This being a movie, it appears that they aren't alone, as confirmed by the inhuman ghostly cries that they hear at night. McCartney and Sadowski lead the ensemble cast, which also includes Devin Kelley, Olivia Taylor Dudley, Nathan Phillips, Ingrid Bolso Berdal and Dimitri Diatchenko. The thriller is based on a story by Oren Peli (the director of "Paranormal Activity" and producer of "Insidious") who is also producing, along with Brian Witten ("Dark City" "Final Destination"). Brad Parker is directing. "I love my job. I get to work with a talented director like Brad on the kind of scary movie I know I’d happily stand in line to see," said Peli in a statement. "I really couldn’t be happier with our cast," echoed Witten. "We've brought together a group of fresh, talented young actors and they're all getting ready to give us nightmares! In the best possible way!" FilmNation Entertainment’s Glen Basner added, "We looked at a lot of projects to find FilmNation's first fully-financed movie, there were plenty of possibilities. When we were presented with the brilliant concept of this film, coupled with Oren's pedigree it made the decision very easy." The film started principal photography in Eastern Europe earlier this week. Me too!! and this better get released!!!! 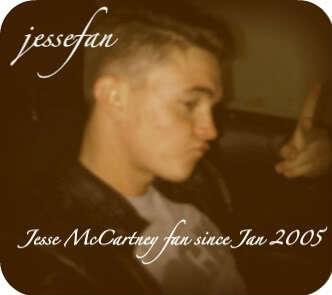 Jesse NEEDS TO BE ON THE BIG SCREEN!!!! Not sure if it is. I hope it is. And yes you are right, Jesse does pick the low ones I guess it's ok but fans outside of the USA never seem to be able to watch it He is a great actor!! Sweet!!!! I have always wanted to see him in a thriller and I hope it comes out in theaters!!! Can't wait!! Same here!! I really hope it does! !